The man said he was sitting in his recliner when the tree came down on the house, almost splitting it in two. 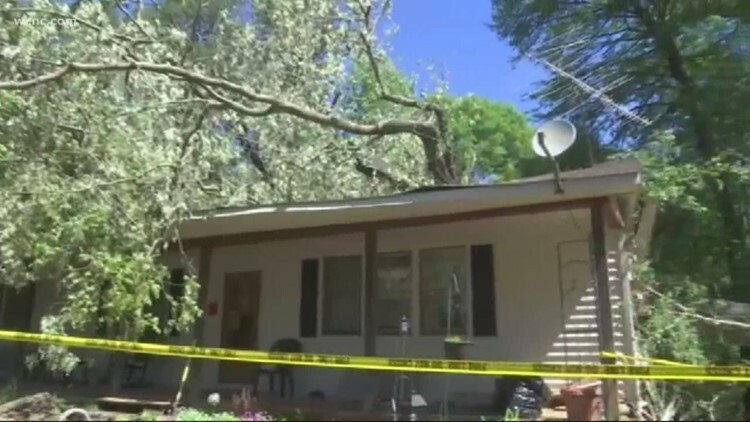 The NWS Damage Survey concluded that the tornado left one person injured when a large tree fell onto a house. 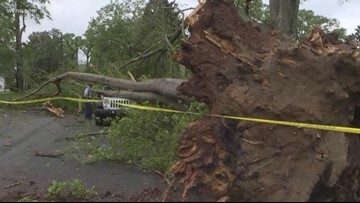 Most of the damage was limited to trees, such as uprooted trees or snapped tree limbs. 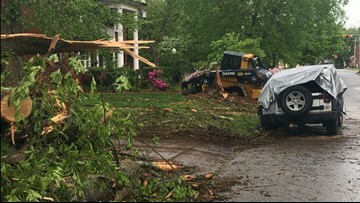 The National Weather Service said there were no fatalities or injuries as a result of the tornado. 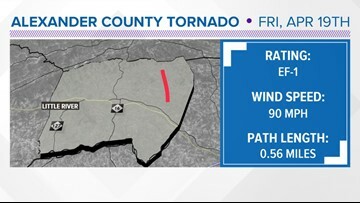 The path was short but the wind speed was strong and peeled part of a metal roof off a barn, NWS said. 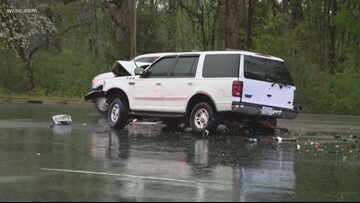 The National Weather Service confirmed one tornado touched down in Gaston County and swept through Lincoln County. 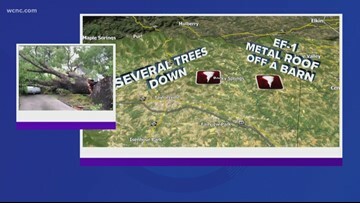 In Alexander County, another tornado touched down. 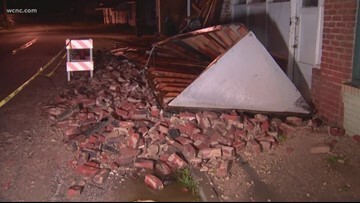 A weak tornado touched down over northern Gaston County and moved into Lincoln County, eventually crossing Lincolnton on Friday, the National Weather Service confirmed. 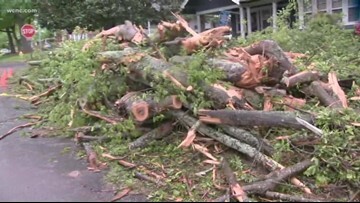 People across the Carolinas are working to clean after storm damage Friday. 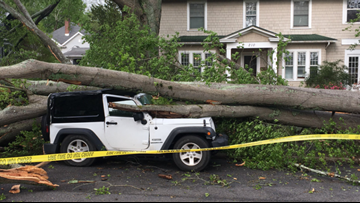 In Lincolnton, a tree fell onto a jeep. 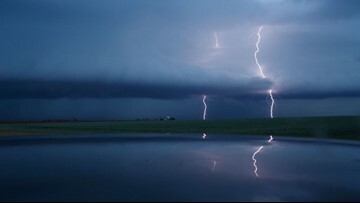 A tornado watch for the Charlotte area remains in effect until 8 p.m. 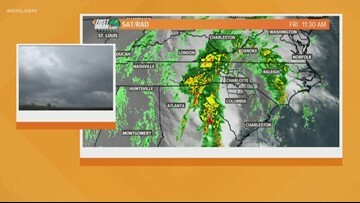 The Charlotte area is under a tornado watch until 5 p.m. as severe storms race across the Carolinas. A list of all active warnings and watches in the Charlotte area as storms move through the region. 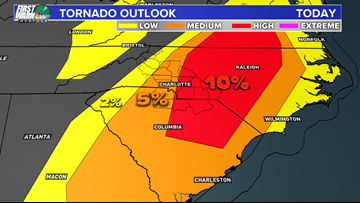 A Tornado Watch is in effect until 5 p.m. for the Charlotte area ahead of a line of thunderstorms that could bring severe weather Friday afternoon. 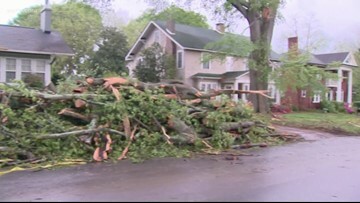 Trees and power lines were knocked down across the Charlotte area when strong winds and heavy rain fell on the Carolinas over the weekend.